"a thriller, a horror novel, and a technical manual, all wrapped into one"
"For the non-pilot reader this book is an easy-to-understand window into the aviation mishap. For pilots, especially those who fly Airbus aircraft, it is required reading"
Understanding Air France 447 is an engaging coverage of Air France 447, an Airbus A330 that crashed in the Atlantic Ocean north of Brazil on the morning of June 1, 2009, killing all 228 persons on board. Capt. Sully Sullenberger says of this accident: "This Air France accident is going to be a seminal accident that will be studied for years, and we need to ask ourselves as an industry tough questions about the way we're designing airplanes, the way we're displaying information to the pilots in the cockpit. And about whether or not making airplanes more complicated, more technologically advanced makes it more difficult for pilots to very quickly intervene and very effectively act when things go awry." This book will give you the insight to ask and understand those questions. It opens to understanding the actions of the crew, how they failed to understand and control the problem, as well as the many contributing aspects of weather, human factors, and airplane system operation and design that the crew could not recover from. A human factors specialist writes:"I am planning to use your book as baseline for the next HF classes at Alitalia,…the annual Recurrent Training. " How each contributed is covered in detail along with what has been done, and needs to be done in the future to prevent this from happening again. Written primarily for pilots, but with enough background information so that anyone with an interest in aviation can fully grasp it. The author is an A330 captain and long time instructor who was the main author of his airline's A330 systems manual and numerous other training materials. This book isn't just about what happened on the way down. That's the sensational stuff for the 5 minute read in a magazine (it's not left out, though). The real story is how it came to be that they couldn't keep the airplane under control for one minute, how the alternate flight control law prevented the airplane's natural positive stability from pitching the nose down, how one pilot knew the other was screwing up and took no action to stop it. You'll also learn why Mach buffet and Mach tuck are not the threat they were in the 727 days, how stall speed changes with Mach number (which actually worked to the AF447 crew's advantage for a while), and why stall recovery at FL350 is a whole different world than at 5,000 feet. You've heard that the crew did not react to the stall warning. But, you'll see that they reacted exactly how they were taught to - it just didn't do any good. There are important lessons to be learned from this accident for everyone that flies. This book will help you learn them. See why reviewers say over and over that it's a "must read." 5.0 out of 5 stars "This book is the best post accident investigation that I've ever read... This is a thriller, a horror novel, and a technical manual, all wrapped into one. If you have any interest at all in aircraft accidents, read this book. You will not be disappointed. "; "A must-read for pilots and any aviation enthusiast! ";"A thorough and interesting read. "; "Amazing detail presented in a clear manner. "; "The best aviation accident investigation. "; "Must read for professional, recreational, student, and wannabe pilots. "; "A Book That Needed to Be Written. "; "Outstanding"
"I would like to personally thank Captain Bill Palmer for an excellent explanation and education for myself on the Airbus (A330) interface, the events that went on behind the scenes, and for the wealth of information that he has provided not only for this topic but others. It is my hope that everyone will purchase this work and read it to detail. (Noting the many creased pages with highlighted statements on many of them.) This literature should be a required reading for all pilots no matter what rank: student, sport, private, instructor, commercial, transport, or line instructor/check airman. It is our imperative that we do everything we can to ensure safety for both the industry but also for those souls we carry that we make a vow to carry as if they are our own loved ones and making it enjoyable for all parties in the process." "..this book is a riviting read. The chapter detailing the cockpit voice recording is absolutely chilling. You will find yourself begging the crew to pus the control stick forward." Plane Viz Podcast. September 5, 2013. PlaneViz.com host Dave Goodwin interviews Bill Palmer about Understanding Air France 447. $19: Free Shipping included via 1st class mail for USA orders. For international orders, please contact me directly for a shipping quote. Who shall I Autograph this to? If you prefer not to deal with paypal, contact me directly for alternative credit card or check methods. Having trouble with Amazon in non-USA areas? Try Google Play! If you operate a bookstore, or would like to purchase books for your pilot group with significant discounts for large quantites of paperback or ebook versions, Please contact me at wfpalmer@gmail.com. Despite the fact that regulatory or investigative bodies have been labeling aircraft accidents as “pilot error” for years, I still feel my blood pressure rise when anyone uses that tag. To be honest, there are very few aviation accidents these days that aren’t pilot error … the engine and airframe technology is simply so good today that systems aboard an airplane seldom fail. All too often however, the mainstream media doesn’t realize that pilot error is nothing more than a symptom of the accident and almost never the actual cause of the mishap. We already know the crew probably made a mistake. They were, of course, the men and women sitting in the cockpit at the time of the accident weren’t they? But pilot error is simply the end of the road to a chain of unfortunate events … a road marker pointing to a much bigger problem. The real question everyone should be asking is why … why would do experienced cockpit crews often make a series of seemingly simple blunders that lead to a tragic outcome. Captain Bill Palmer and I first connected a few years ago through the aviation-industry blog— Jetwhine.com—I’ve been publishing since 2006. Jetwhine exists to stimulate discussions that bring random industry people together to speculate (another word non-industry types seem to hate) when things go wrong. I remember some of Bill’s comments to some of our stories, comments that made it clear early on that he wasn’t simply a man with an opinion. Bill Palmer was a man who knew what he was talking about and was someone who wasn’t afraid to go out on a limb putting the pieces together from which others might learn. Jetwhine started running stories soon after the Air France accident, the first called, Lessons From the Crash of Air France 447, and others like, Air France 447: The Cost of What We’ll Learn. 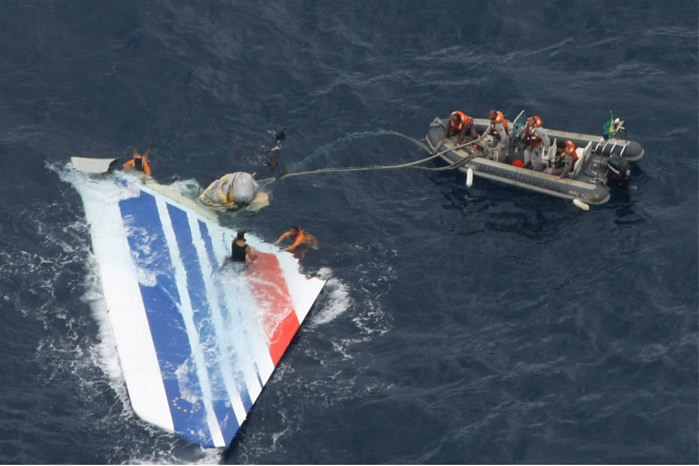 Bill and his thoughts and ideas jumped to the forefront when Air France 447 Pilot Error? Probably, but … was published in June 2011. During the back and forth of the online conversations about those stories, Bill Palmer was there … not just adding opinions, but adding his technical expertise as an A330 instructor pilot, a veteran airline captain and as the man who’d written the A330 systems manuals for his airline. He explained the details of how things worked, as well as insights into how some systems might have added to the chaos in the cockpit that night over the middle of the South Atlantic. Sure there were people who popped up in our 447 discussions who tried to prove Bill Palmer didn’t know what he was talking about, but they didn’t last long. Knowledge and experience trump random opinion every time. When Bill told me he was writing a book about the 447 accident to educate anyone willing to read it about what he believes might have happened that awful June evening, I wasn’t at all surprised. I was even less surprised when he told me another goal was to once and for all explain to people how the systems aboard the A330 actually worked, as well as some of the traps any computer creates for users unwilling or unable to spend enough time to understand them in depth. So sit back and prepare to be educated, entertained and awed, yes, awed. For within the pages of this latest version of Bill Palmer’s book,Understanding Air France 447, readers will learn as much—or more—about the A330 than some line pilots probably know today. By the time you’ve finished, you too will probably learn—as I did—the why behind what caused three experienced pilots aboard Air France 447, to not simply lose control of their aircraft, but to be so overwhelmed by the experience, that they were unable to regain control of the aircraft before it splashed into the sea taking 228 people to their deaths. With this volume, Captain Bill Palmer proves yet again, that pilot error only represents the beginning of a solid accident investigation. Robert P. Mark is an ATP-rated pilot with both airline and private business jet aviation flying experience. He spent 10 years of his life in air traffic control with the FAA and has authored five books under the McGraw-Hill label. In addition to Jetwhine, Robert Mark serves as editor for AINSafety, the weekly online journal of aviation safety published by Aviation International News. Factors Leading to the Degradation of Manual Flying Skills... Cranford Univ. An interesting alternate ending to this accident. 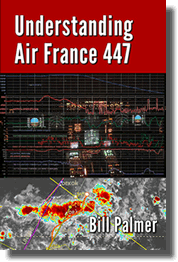 The e-book version of Understanding Air France 447 is available in two versions: Kindle (.mobi) and epub. e-book purchases from Amazon will be delivererd in the kindle format, and are compatable with Amazon kindle devices and reading apps. e-book purchases from other sources are in the epub format and are compatable with virtually all other readers. Free Kindle Reading Apps: Download and read Kindle books on your favorite device—no Kindle required. Calibre e-reader and format converter A good quality e-book management tool that allows you to open and convert between many different e-book formats. Bill Palmer is a currently an A-350 captain and check airman for a major international airline. As a member of his airline’s A-330 development team for the introduction of the airplane to its fleet, he has been intimately involved in A330 fleet since 2002. He was the lead author and editor for the airline’s A-330 Systems manual, and has written numerous A-330 training publications. He has served as an airplane and simulator instructor, check airman, designated examiner, and also on training related projects from video production to simulator certification. He has appeared on CNN on five separate occasions and authored two opinion articles in connection with the disappearance Malaysia flight 370. Bill holds an ATP with type ratings in A-320, A-330, A350, B-757/767, B-777, DC-10, commercial glider, and flight engineer-turbojet ratings.